Let me preface today’s post by stating two things. 1) I don’t drink, so these counterparts have no value judgements rooted in flavor, brand devotion, or severity of hang overs. 2) What fun would this blog be without the occasional controversial pairing? I fully acknowledge that this is a pretty crude design. But damn if it isn’t a charming bit of pseudo-Russian alchemy. You just know it’s made in a genuine Ukrainian bath tub. Due to my nearly-total lack of knowledge about brands of booze, I pretty much had no idea what kind of alcohol Ketel One was until a few years back. Their notoriously obtuse ads didn’t help much. 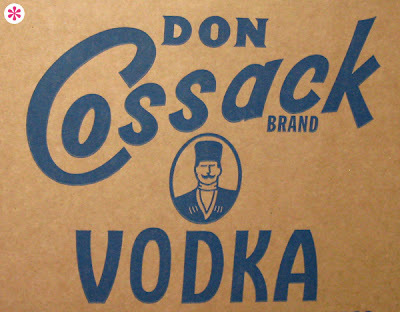 More damningly, to me anyway, the identity design always bespoke something not vodka. Something more of the European dark ages... a fine, monk-made sherry perhaps. As a side note, I wonder if any mixologists or molecular gastronomists have tackled the idea of a vodka-popcorn mashup called Ketel Corn. You're right! Ketel One is actually Ketel Een in the Netherlands, a Genever: a traditional dutch drink that spawned the english Gin. 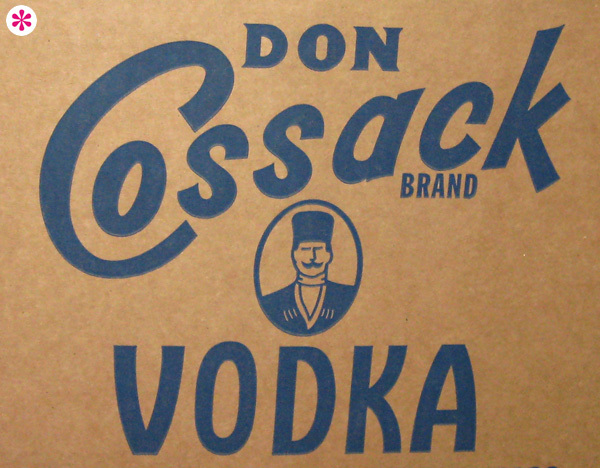 The company was started in 1691. I much prefer the first design as a personal choice. It has character and soul and could have the sort of presence that Absolut has if they tweaked the design a little. 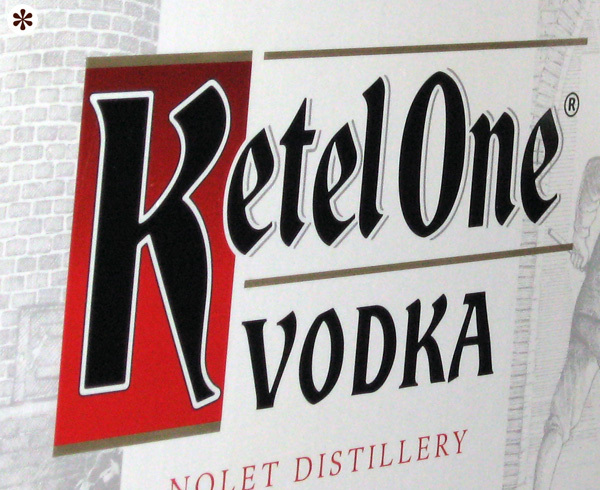 Ketel One just looks as generic and super saver as you can get. Great if that's what they want. Ketel One is probably the best tasting vodka on the market. They need a logo freshener. Wait. What part of the "pretty" logo is "pseudo-Russian?" Not one of the four typefaces is at all Russian. The guy in a hat is clichedly Russian. The two together make Psuedo Russian? Neither element is good, they don't average out to make even pseudo pretty.